Picking a venue is a big deal. It's expensive, it sets the tone and it's the fulcrum on which everything else hinges. Having attended a few weddings yourself, you may be tempted to think picking a perfect wedding venue is a stroll in the park. Not quite. Wedding venues could be one of the most crucial decisions a couple makes in the process of planning their wedding. For some, the success in nailing a perfect wedding venue immediately translates into a successful wedding. Picking a venue is a big deal. It's expensive, it sets the tone and it's the fulcrum on which everything else hinges. Having attended a few weddings yourself, you may be tempted to think picking a perfect wedding venue is a stroll in the park. Not quite. With all the engagement proposals flaunting all over social media, it's easy to think that the entire wedding process would be easy. What makes this thought even worse is the numerous extravagant weddings on the web that have literally created a new wave for new start-ups to tap into the wedding industry. However, there's a seemingly endless stream of decisions to make. A lot of consideration, compromise, research and hard work go into picking the venue that will flatter your guests, make your wedding pictures flawless and make you feel happy and content. A few tips can help make the ride worthwhile. 1. What is the size of your budget? It's important that the couple make this very important decision together. Would you be spending 1/4th or 1/2 of your entire budget on a venue? Be truthful to yourself and admit how much you're willing to spend on a venue. Set realistic targets as well because venues are generally not cheap, especially the beautiful ones. Costs will most likely be as a result of the capacity, location, and other amenities offered by the various types of venue halls. Though you may end up with a venue that costs a little above or below your budget, at least you had a fixed template you worked with. 2. How many guests are you expecting? Couples most often don't stick to the size they initially decide on. But it shouldn't stop you from having an idea of how many people you want to entertain. It's important to have that bit cleared up so other vendors know how to charge and cater to your wedding. Do you want a big wedding or a small one? Do you want 100 or 500 guests? This singular decision puts a peg on the size of hall to go searching for. A theme is beyond just picking your favourite colors. 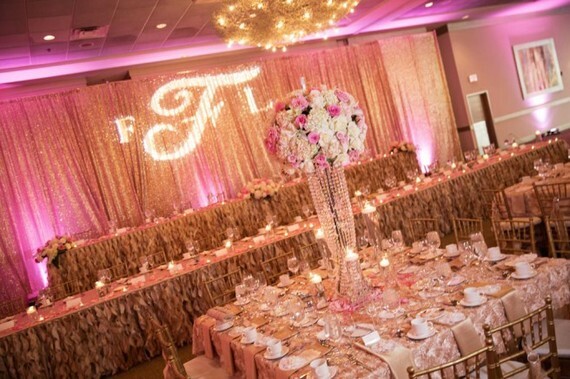 Nothing goes unplanned- you've got to choose the right wedding palette that works for you and your spouse. Would you prefer an outdoor or indoor reception? An evening wedding maybe? A fairy tale or beach-vibe kind of wedding? It's important to connect and tell your love story with your wedding venue. Decide with your wedding planner on how best to interpret your idea and you'll be one step closer to getting a venue that suits you. Now you have a budget, a theme and an estimated guest list, it's time to tour. This is most likely the hardest yet fun part of the entire process. As the prices vary, so does the style of the venues. Be sure what you want, and be flexible as well. Also consider different catering trends needed for the wedding and find out if your chosen venue offers any. You just may find a venue that doesn't flow with your theme but will give an equally amazing wedding experience. Attend events, other weddings and see what's right or wrong with the venues. Browse through blogs and sites and be patient. The right venue will speak to you. No doubt your wedding is all about you but you won't exactly be very comfortable if your guests aren't. How close is the venue to town? Is it easily accessible? Consider the guests who may drive. Will there be ample space for their cars without killing the ambience of the venue? No matter where you choose to do your wedding, you need to think about the logistics of getting everyone to the event site. This will only apply if you're theme is outdoor inspired. If you plan to have part or all of your wedding outdoors, the weather is a huge factor to consider. You'll need to have a plan that covers for when the weather flips. Choose a canopy or tables with umbrella to shield the rain. The decoration can be done in such a way it looks surreal. Pick your date carefully as well. Depending on your geography, you can predict the weather to an extent and work accordingly. Have a contingency plan in case the weather turns wet. It's always a good idea to have access to an inside space of tent. Venues don't sit idle for long. Once you've found a venue that checks out on your list, it's time to draw out a check. You may want to seek other opinions on the choice you've made, great. However do it quick and lock down the date for that venue. Have a memorable wedding day!